Cross-country skiing is one-of-a-kind in the North Country thanks to heavy snowfall as well as beautiful scenery. Not only is it a fun way to take in your winter wonderland surroundings, but it's also a great workout. Not into skiing? Try snowshoeing! Snowshoes work by distributing your weight over a larger area so that your feet don't sink completely into the snow. You can walk with ease, even in the deepest snow. Below, we've put together a list of some of the most popular areas you can visit for cross-country skiing and snowshoeing. Gurney Lane Recreation Area in Queensbury has trails for both cross-country skiing and snowshoeing. 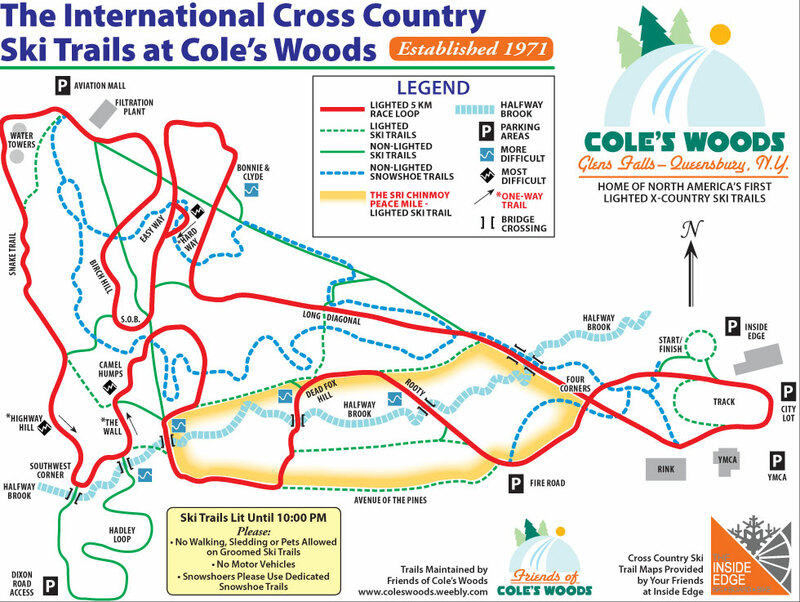 The trails vary in length from .3 to 1.2 miles long, making this a great place for beginners and those looking for a fun day trip outdoors. Natural Stone Bridge and Caves Park in Pottersville features outdoor adventures during the summer and fantastic snowshoeing and cross-country skiing tours throughout winter. With paid admission to the park, you can explore over 14 miles of marked trails. The winter season usually runs from mid-December through mid-March. Tours are self-guided. Lapland Lake Nordic Vacation Center in Northville offers a "touch of Finland" in the Glens Falls Region. Many of the trails at Lapland Lake are one-way, which provides cross-country skiers and snowshoers a much more private experience. Lodging guests can use these trails for free, and for everyone else, facility use rates vary. The Gore Mountain Region in North Creek is a great place to go for both cross-country skiing and snowshoeing, especially at the North Creek Ski Bowl, located adjacent to Gore Mountain. Trails at the Ski Bowl vary in length, and snowshoers are asked to stay alongside the ski trails. 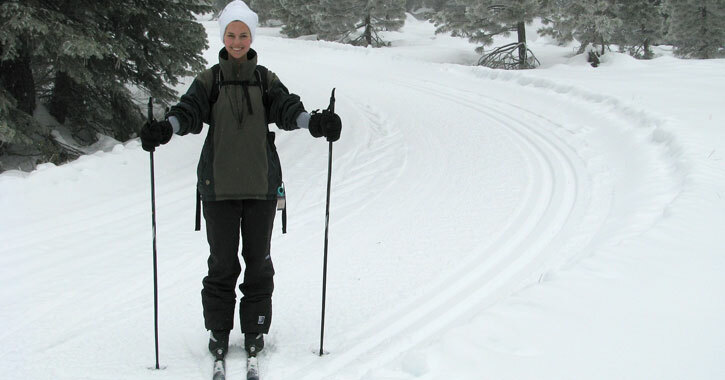 Garnet Hill Lodge in North River offers fun cross-country skiing adventures over miles of backcountry ski trails. In addition, there are 6 different snowshoe trails that intertwine with the rest of the trail network. Lake George Recreation Park in Lake George maintains groomed, marked trails that are suitable for cross-country skiing and snowshoeing. Most of the trails range in difficulty from beginner to intermediate. Cunningham's Ski Barn in North Creek has been serving the Adirondacks since 1934, and their North Creek Ski Shop features private and groomed cross-country ski trails. Stop by the shop for local trail information and rentals. Saratoga Spa State Park in Saratoga Springs is a popular spot during the winter season for cross-country skiing on approximately 12 miles of trails. You can even go snowshoeing on some of the park's trails if you'd like.